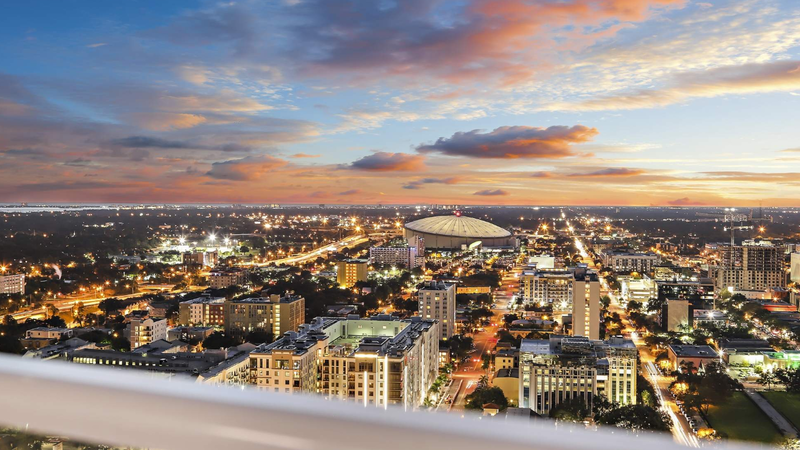 For a limited time, you could own the loftiest penthouse in the Tampa Bay area. Glass House, a tri-level condo in downtown St. Petersburg’s Signature Place, just went on the market for $3.1 million. Spanning the 34th through 36th floors, it will be the area’s most skyward condo until the 41-story ONE St. Petersburg tower is completed later this year. Since listing the unit last week, "I’ve already had two showings with potential,’’ agent Becky McConnell said. The seller, who is building a home on Snell Isle, is asking $1.265 million more than he paid for the condo three years ago. He has not made any changes to the 4,177-square-foot unit, which had undergone a massive renovation by its previous owners, interior designer Rob Bowen and Bob Glaser, CEO of Smith & Associates Real Estate. They paid $1 million for the unit in 2012. Bowen’s team then spent 18 months stripping it down to bare concrete and eliminating all but one wall on the unit’s first floor to maximize the space and views of the city and the bay. The condo’s base level, which has a wraparound balcony, contains the kitchen, living and dining areas with black-veined marble floors. An elevator provides access to a family room, home office, guest room and laundry on the second floor, and the master bedroom and guest suite on the third floor. The most striking tower in downtown St. Petersburg, Signature Place at 175 First St. S also has been among the most problem-plagued. The project was announced in 2005 at the peak of the real estate boom and neared completion just as the market collapsed in 2008. Plagued by slow sales, developer Joel Cantor had to slash prices and finally resorted to an auction to unload dozens of the 244 units. In 2014, the condo association sued Cantor and others alleging that the building had numerous construction and design defects. For well over a year, much of the facade was sheathed in scaffolding as workers replaced stucco in danger of falling and made other repairs. The case was settled last year and now "the scaffolding is down, everything is remediated and everything is paid for," McConnell said. Sale prices in the tower, which had tumbled during the repair work, have rebounded, although not to the level of condos with addresses on nearby Beach Drive. In the past six months, Signature Place units have sold for as little as $390,000 and as much a $1.225 million. Glass House is the third-priciest downtown condo currently on the market, exceeded only by two units in Ovation on Beach Drive. 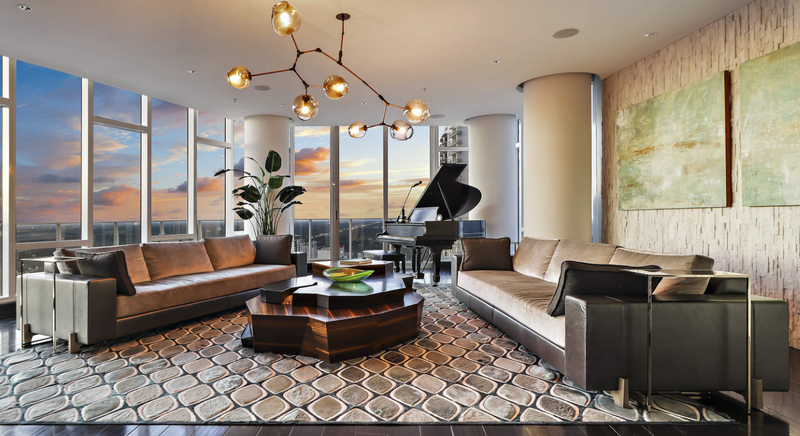 The top asking price is $3.95 million for a condo owned by Mindy Grossman, former head of St. Petersburg-based HSN and now CEO of WW (the recently renamed Weight Watchers International).